Strain through a cheesecloth and allow the mead to cool to room temperature. Stir in the brewer’s yeast. Cover with a clean towel and let it stand for one day and one night. Strain again, bottle, and then store in a cool place until ready to serve. 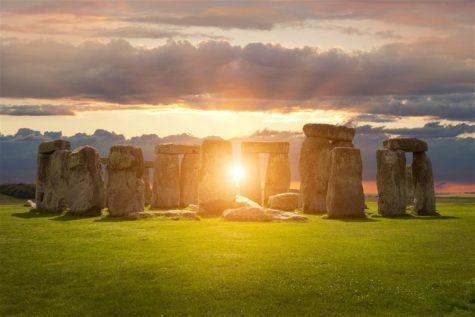 Why does the summer solstice happen? On this day, typically June 21, the daytime hours are at a maximum in the Northern hemisphere, and night time is at a minimum. It is officially the first day of summer. It is also referred to as Midsummer because it is roughly the middle of the growing season throughout much of Europe. The seasons of the year are caused by the 23.5° tilt of the earth’s axis. Because the earth is rotating like a top or gyroscope, the North Pole points in a fixed direction continuously — towards a point in space near the North Star. But the earth is also revolving around the sun. During half of the year, the southern hemisphere is more exposed to the sun than is the northern hemisphere. During the rest of the year, the reverse is true. At noontime in the Northern Hemisphere the sun appears high in the sky during summertime, and low during winter. The time of the year when the sun reaches its maximum elevation occurs on the summer solstice — the day with the greatest number of daylight hours. It typically occurs on, or within a day or two of, June 21, the first day of summer. The lowest elevation occurs about Dec 21 and is the winter solstice — the first day of winter, when the night time hours reach their maximum. Create protective amulets out of rue, rowan and basil. Place these herbs in a clean white or gold cloth, and tie the cloth securely. Make a protective charm for your home or business. Tie a few cinnamon sticks together and position them over the door of your home or office. Consume foods that honor the power of the sun. Include foods that are yellow and orange. Lemons are particularly good for this purpose and can be consumed in desserts as well as in tea or lemonade. Leave some food out for the fairy folk that are active at midsummer. Good choices include milk, wine, honey, water and fresh bread. 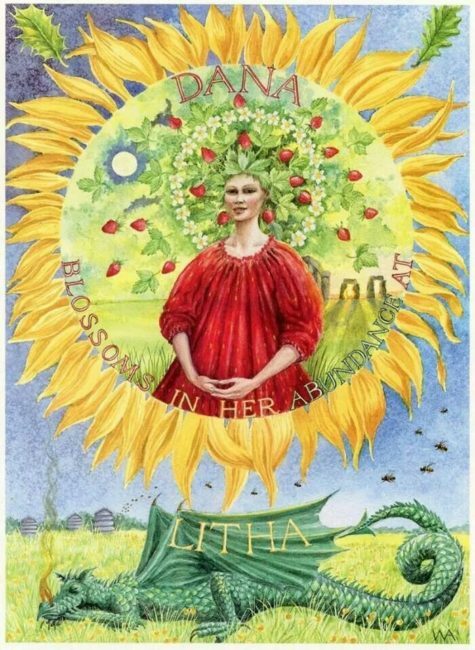 Litha (pronounced “LITH-ah”) is one of the Lesser Wiccan Sabbats and is usually celebrated on June 21st, but varies somewhat from the 20th to the 23rd, dependent upon the Earth’s rotation around the Sun (check the calendar). 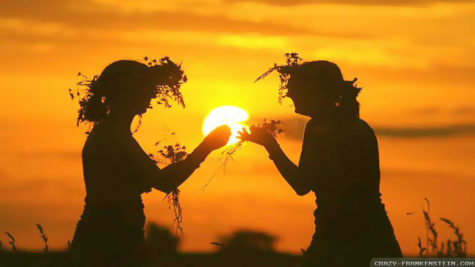 According to the old folklore calendar, Summer begins on Beltane (May 1st) and ends on Lughnassadh (August 1st), with the Summer Solstice midway between the two, marking MID-Summer. This makes more logical sense than suggesting that Summer begins on the day when the Sun’s power begins to wane and the days grow shorter. The Litha Sabbat is a time to celebrate both work and leisure, it is a time for children and childlike play. It is a time to celebrate the ending of the waxing year and the beginning of the waning year, in preparation for the harvest to come. Midsummer is a time to absorb the Sun’s warming rays and it is another fertility Sabbat, not only for humans, but also for crops and animals. Wiccans consider the Goddess to be heavy with pregnancy from the mating at Beltane – honor is given to Her. The Sun God is celebrated as the Sun is at its peak in the sky and we celebrate His approaching fatherhood – honor is also given to Him. The faeries abound at this time and it is customary to leave offerings – such as food or herbs – for them in the evening. The cycle of fertility has been expressed in many god-forms. 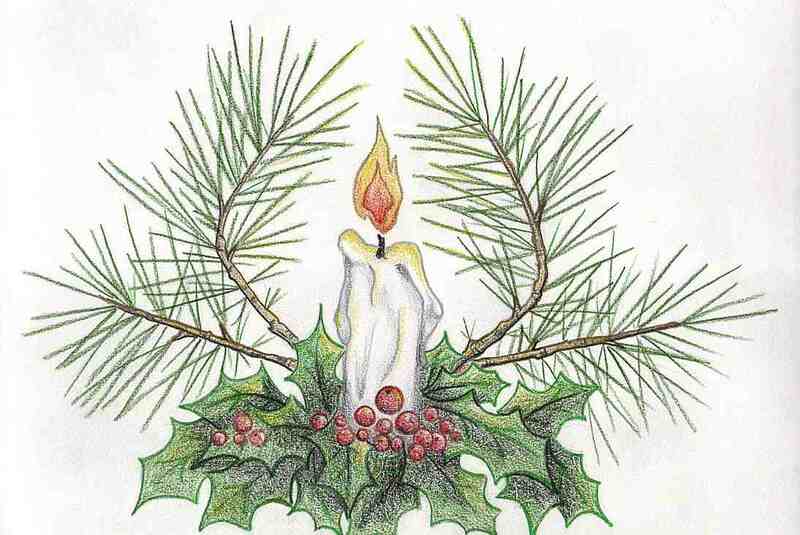 One pair of these – which has persisted from early Pagan times to modern folklore – is that of the Oak King and the Holly King, Gods respectively of the Waxing Year and the Waning Year. The Oak King rules from Midwinter to Midsummer – the period of Fertility, Expansion and Growth; while the Holly King reigns from Midsummer to Midwinter – the period of Harvest, Withdrawal and Wisdom. They are the light and dark twins, each being the other’s alternate self, thus being one. Each represents a necessary phase in the natural rhythm, therefore both are good. At the two changeover points, they symbolically meet in combat. The incoming twin – the Oak King at Midwinter, the Holly King at Midsummer – “slays” the outgoing one. But the defeated twin is not actually considered dead – he has merely withdrawn during the six months of his brother’s rule. 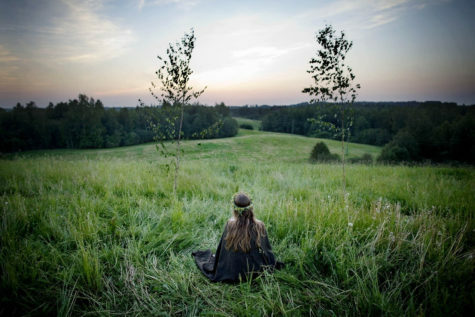 On Midsummer Night, field and forest elves, sprites, and fairies abound in great numbers – making this a great time to commune with them. Litha is considered one of the best times to perform magicks of all kinds, for it is considered a time of great magickal power. Especially effective magick and spells at this time include the performance of those for love, healing and prosperity. A wreath can be made for your door with yellow feathers for prosperity and red feathers for sexuality – intertwined and tied together with ivy. This is also a very good time to perform blessings and protection spells for your pets or other animals. You may want to choose to include your pet within your cast Circle at this Sabbat celebration, and even present him or her with a special gift (such as a tiny pentacle to attach to his or her collar). I have done this and found it very rewarding and heartwarming. Nurturing and love are key actions related to Midsummer. If you haven’t yet done so, Litha is a good time to perform your Self-Dedication Ceremony… or – if you have been practicing Wicca for a while – you may choose to perform a simple Re-dedication/Affirmation as a part of your Sabbat celebration. Ritual actions for Litha might include placing a flower-ringed cauldron upon your altar, plunging of the sword (or athame) into the cauldron, balefire leaping (outdoors) and the gathering and drying of herbs. Herbs can be dried over the ritual fire if you’re celebrating outdoors. Leap the bonfire for purification and renewed energy. Ritually, use mirrors to capture the light of the Sun or the flames of the fire. Although Midsummer Day occurs at the summer solstice, or what we think of as the beginning of summer, to the farmer it is the midpoint of the growing season, halfway between planting and harvesting, and an occasion for celebration. The most common other names for this holiday are the Summer Solstice or Midsummer, and it celebrates the arrival of Summer, when the hours of daylight are longest. The Sun is now at the highest point before beginning its slide into darkness. Although it’s also the feast day of St. John the Baptist, it features pagan traditions such as bonfires, fire walking, and a carnival atmosphere, all of which took place on Midsummer Eve. Certainly, it’s a night of magic and soothsaying as well, for as Washington Irving said, this is a time “when it is well known all kinds of ghosts, goblins, and fairies become visible and walk abroad.” After Midsummer Day, the days shorten. In Sweden and Norway at the Solstice, people made wheels of fortune. Some of the wheels were wrapped in straw, set on fire, and rolled down hill. Other wheels were decorated and kept. These were used in two ways: One, the wheel was rolled away from a person to take away misfortunes; two, it was rolled toward a person to bring all kinds of good fortune. Scottish Pecti-Witans celebrate Feill-Sheathain on July 5th. In the Italian tradition of Aridian Strega, this Sabbat (Strega Witches call them Treguendas rather than Sabbats) is known as Summer Fest – La Festa dell’Estate. Scandinavians celebrate this holiday at a later date and call it Thing-Tide. In England, June 21st is “The Day of Cerridwen and Her Cauldron”. In Ireland, this day is dedicated to the faery goddess Aine of Knockaine. June 21st is “The Day of the Green Man” in Northern Europe. In Lithuanian tradition, the dew on Midsummer Day was said to make young girls beautiful and old people look younger. It was also thought that walking barefoot in the dew would keep one’s skin from getting chapped. It was customary to honor all men named John on this day by fixing wreaths of oak leaves around their doors. This is usually done in secret, and John must guess who did it or catch the person in the act, in which case he must give the person a treat. Ancient Celts: Druids, the priestly/professional/diplomatic corps in Celtic countries, celebrated Alban Heruin (“Light of the Shore”). It was midway between the spring Equinox (Alban Eiler; “Light of the Earth”) and the fall Equinox (Alban Elfed; “Light of the Water”). “This midsummer festival celebrates the apex of Light, sometimes symbolized in the crowning of the Oak King, God of the waxing year. At his crowning, the Oak King falls to his darker aspect, the Holly King, God of the waning year…” The days following Alban Heruin form the waning part of the year because the days become shorter. Ancient Egypt:In Ancient Egypt, summer solstice was the most important day of the year. The sun was at its highest and the Nile River was beginning to rise. Special ceremonies were held to honor the Goddess Isis. Egyptians believed that Isis was mourning for her dead husband, Osiris, and that her tears made the Nile rise and well over. Accurately predicting the floods was of such vital importance that the appearance of Sirius, which occurs around the time of the summer solstice, was recognized as the beginning of the Egyptian New Year. Ancient Germanic, Slav and Celtic tribes in Europe: Ancient Pagans celebrated Midsummer with bonfires. “It was the night of fire festivals and of love magic, of love oracles and divination. It had to do with lovers and predictions, when pairs of lovers would jump through the luck-bringing flames…” It was believed that the crops would grow as high as the couples were able to jump. Through the fire’s power, “…maidens would find out about their future husband, and spirits and demons were banished.” Another function of bonfires was to generate sympathetic magic: giving a boost to the sun’s energy so that it would remain potent throughout the rest of the growing season and guarantee a plentiful harvest. Ancient Rome: The festival of Vestalia lasted from June 7 to June 15. It was held in honor of the Roman Goddess of the hearth, Vesta. Married women were able to enter the shrine of Vesta during the festival. At other times of the year, only the vestal virgins were permitted inside. Fritters are a nice variation on pancakes, and the bonus for this particular recipe is that they are sweet without any additions, requiring no syrup, sugar or jam. 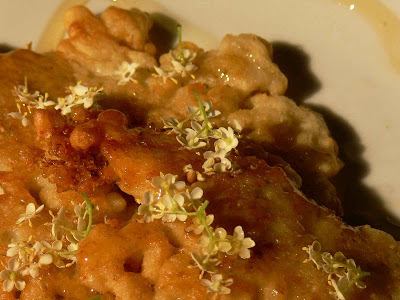 Many people have had fritters of various types, especially the popular apple variety. But . . . “elder flower” fritters? Yes, these actually contain elder flowers! Flowers were a common ingredient in cooking during medieval times, which is where this recipe comes from (England, specifically). In this recipe’s case, the flowers mixed into the batter help add a kick and a minty taste. Because of the elder flowers, these sweeties have been associated with faeries in folk myths. Because of that, they have been used at Pagan celebrations of Beltane, Litha, and Lughnasadh to help as a protection against the malevolent and mischievous fair folk, and sometimes these are even made at Samhain season as a symbol of keeping away bad spirits. Mix egg, rose water, honey, and brandy in a bowl, then stir in flour and cinnamon. Should be thick like pancake batter. (Add flour if it’s too thin, and add more brandy if it’s too thick.) Fold in the flowers. Fry like pancakes, OR drop by the teaspoonful into a deep-fat fryer until golden brown. 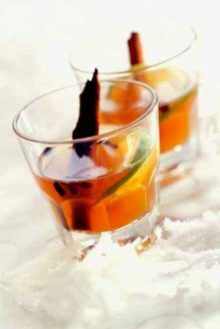 Serve with orange water sprinkle and fresh lemon, or dip in sweet cream. Yield: Fried like pancakes: About 10. Deep fat fryer: About 2 dozen. Note: In many areas it may be tough to find fresh elder flowers. If you order from somewhere or pick them yourself, make sure they are the Nigra variety because there is a kind you shouldn’t use due to high toxicity. You can make this recipe by substituting very finely diced apples–about a cup’s worth–for the flowers, and adding a little fresh mint. If you do do this substitution I urge you to not neglect the mint, because with either elder flowers or with apple-and-mint, the minty taste is really what makes it so good.